The highly anticipated sequel to Aliens Are Real: Part 1! 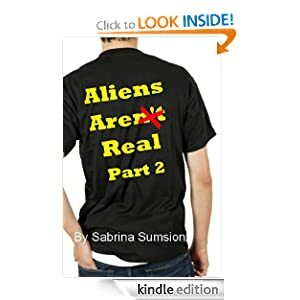 Jasmine knows aliens are on earth, but she doesn't know if they can be trusted. When Yumi and her alien housemates ask Jasmine to help them learn more about humans, Jasmine gets the feeling that they aren't telling her everything. Willing to do anything for Yumi, Jasmine agrees to help the aliens keep their cover and do some research. How horrible can pretending to be the girlfriend of Honorio, an alien in a handsome young man's body, get? It's only in front of her father so no problem, right? Unfortunately, Honorio decides to interfere with Jasmine's budding relationship with her human love interest, Mark. Furious, Jasmine calls off the pretend relationship and puts Honorio's plans in danger. Honorio and his team need something and the easiest way to get it is through Jasmine's father. He knows he needs to keep a clear head, but his human emotions interfere with his logic. He was only thinking of Jasmine's best interests when he subtly tried to scare off the human interloper. He's sure it's for her own good - and his. Without her dad, Honorio's plans could blow up in his face. -- Maggie Swift is running from the law. 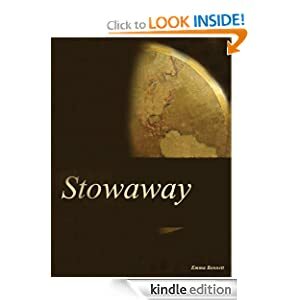 What she doesn't know when she escapes onto a cruise ship is that she is in for more trouble than she left behind. With thieves, a serial killer and a hot ukulele player on the passenger list, she is in for a vacation that she will never forget. This is an approximately 32,000 word mystery. -- A young adult fantasy novel. The Norse and Greek mythologies are about to collide and Jagger is stuck in the middle. 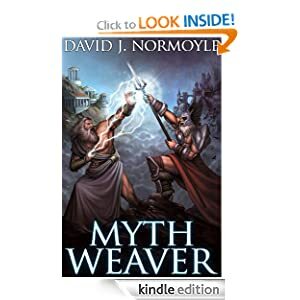 "A must read for anyone fascinated with the legends and myths of old." When Jagger's daydream world becomes a battleground for Odin and Zeus, the edges of reality begin to blur. A contest of myths is formed where Norse is pitted against Greek. Jagger is Perseus as he cuts off Medusa's head and Loki as he schemes against Thor and the other gods. And that's nothing to what he faces in his first year in university. Can ancient truths help Jagger in the real world? "The retelling of the stories of the gods are cleverly intertwined with a student's own quest with coping with life." -- The island of Kaua`i is remote jungle, golden beaches and ancient culture—but transients are disappearing in paradise, and only Detective Lei Texeira notices. 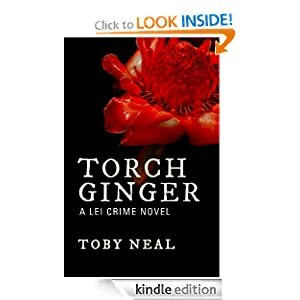 Fleeing a failed engagement, Lei transfers to the island of Kaua`i, where she uncovers a pattern of disappearances that may be related to a bizarre cult—or is it just one madman at work? In Lei's world, everyone is guilty until proven innocent. In Blood Orchids Lei battled her personal demons and won—but now they've come roaring back with reinforcements, including charming real estate magnate Alika Wolcott and former fiancé Michael Stevens. In the midst of the biggest case sleepy Kaua`i has ever seen, Lei must also discover who she loves. 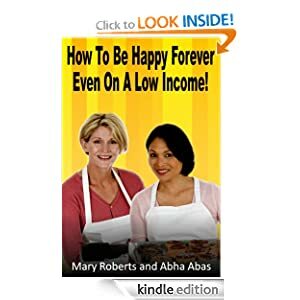 How to Be Happy Forever - Even on a Low Income! -- Do you feel happy? Do you wake up every single day feeling glad to be alive, no matter what your circumstances might be? Do you feel excited to see what the day will bring and to make the most of every opportunity and experience that comes your way? Most of us don’t. This probably won’t come as a huge surprise but it is perfectly possible to make the step to happiness no matter what your income. You can LEARN how to be happy even if you are on a low income. That’s what this book is all about. Most of us have the belief that we need money to be happy. But this isn’t the case. Just think of all the lottery winners you read about who have gone from being poor to being millionaires, all on the strength of a single line of six numbers hitting the jackpot. They might enjoy it at first, but most of the time their sudden change in fortunes doesn’t last long. Indeed if you read their stories you will notice that most of the time their rags to riches stories end with them being returned to rags again. Make the step today and transform your life! The Ultimate Guide to Smash Books, Smashing and making your own Upcycled Scrapbooks! -- Learn all about Smash Books! 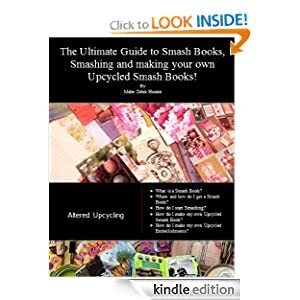 What they are, where to buy them, how to smash and how to make your own upcycled version of a smash book! We even go over techniques for making embellishments from soda cans, packaging plastic and much more. So what exactly is a Smash Book? Smash Books are pre-bound scrapbooks, but instead of plain pages, which can be hard and daunting to fill, they have patterned papers and different papers with sayings on them. The books are made from good quality card stock and can take a lot of memorabilia glued, taped or stapled to the pages. The entire process of just adding pictures and memorabilia to the pages without bothering about the perfect layout is what is called ‘smashing.’ This makes these new smash books fun and easy to work with. The pages are beautifully coordinated and put together with an occasional ‘surprise’ page with a saying or picture that you would not expect. The books are coordinated with a lot of extras that you can buy as well, like pockets, stickers, and tabs. Learn how to make your own upcylced version of this fun scrapbook! Use materials lying around the house. Have fun and UPCYCLE!